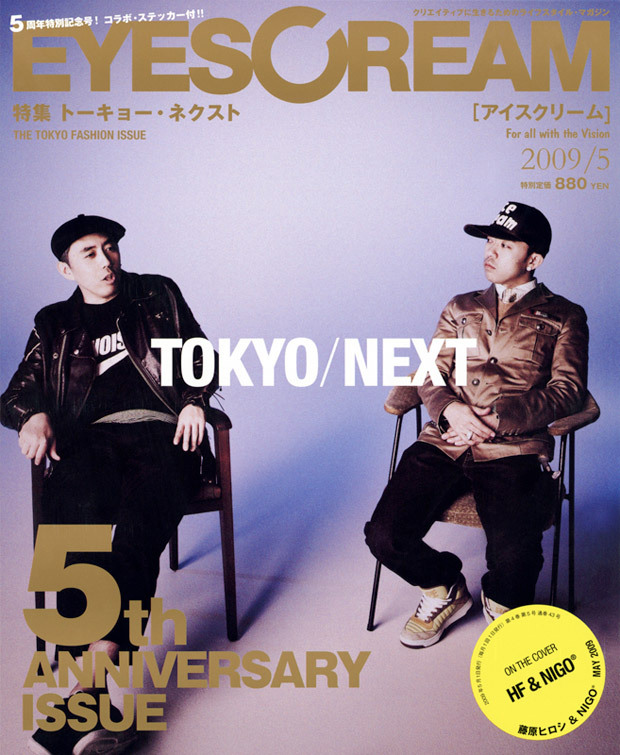 Additionally, the high-end Japanese streetwear industry experienced extreme growth in the early 2000s. Companies such as A Bathing Ape were at the forefront of this expansion and dominated the industry for years. Despite their ‘street’ branding, t-shirts alone were and continue to be sold for anywhere from $80-$200 U.S. dollars in Japan. Many producers and analysts cannot seem to understand this phenomenon, but a few point to the rise of a new otaku culture. At certain popular stores, like Silas & Maria, a British skatewear brand, would-be shoppers are required to wait in orderly file in the street, as if they were on a bread line, before being permitted, twenty or so at a time, to rush in and scour the sparsely stocked shelves for any new merchandise. The next twenty customers aren’t allowed in until the last of the previous group has left and meticulous sales assistants have restored the shelves and racks to their unmolested condition. The whole cycle can take half an hour or more. This is what Japanese teenagers do for fun. Before the company’s recent overwhelming success Comme des Garçons t-shirts could cost as little as $44, today they could cost anywhere from $80-$100. 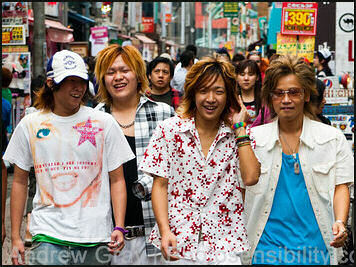 In the past the term otaku was widely used to refer to men that were obsessed with Japanese anime and manga. Since Hiroki Azuma first wrote on the otaku culture in 2001, more and more industries have started using the term to refer to their obsessive fans as well. People have begun referring to these fashion otakus as such because they do things like wait in a line for hours to shop for twenty minutes, or because they obsess over which hat to wear with which pair of jeans, or simply just because they fell in love with this American surfer and hip-hop culture, despite having never seen a surfboard in real life. The biggest underlying question behind this industry and culture is, how do these high school and college students afford these prices!? One common and fairly accepted answer is that these young Japanese men continue to live at home with their parents long after it would have been acceptable or expected of them to move-out. Therefore they do not have to spend any of their salaries on food or rent and can afford to purchase these products. Some feel as though young men are able to do this because the dynamic of the Japanese household has changed since the collapse of the Japanese economy. Most fathers of the family take responsibility for this event and as a result, have a weaker level of authority than in past generations. This allows the young men to continue living with their parents with few complaints from the fathers. One of the most appealing aspects of the streetwear clothing to Japanese youths, is that the majority of these companies are started by DJs and surfers. In Japan, it is often true that the DJs are more popular than some of the rap artists and therefore, their clothing brands would a generate a larger following. Hiroshi Fujiwara may be the earliest example of a DJ that turned his attention to fashion design and has been called the godfather of Harajuku culture. When Nigo, founder of A Bathing Ape, sold the company in 2009 for a mere 2.8 Million dollars, people took that as a sign that the company had met its end. Over a period of time Nigo’s company became too mainstream for the likings of the Japanese fashion otaku. Nigo used his company to create Bape hair salons, a record label, and children’s clothing. He even went as far as to design t-shirts for charity, which sold for a mere $15. The fashion otaku taught Nigo and the rest of the designers that no fashion dynasty was too big to fall. The new owners of the company learned from this and scaled back their overseas operations to focus on their Asian markets. Fashion otakus, like all other otakus, expect to have their way. Rather than aggressively give the designers their demands, they silently accept or refuse brands through their purchases. 3. Mead, Rebecca “Letter From Tokyo: Shopping Rebellion” The New Yorker. 2002. 4. Marx, David “A Bathing Ape Takes Its Final Bath” NeoJapanisme. 2011. Given Azuma’s work on the manga and anime otaku culture, is it possible that he would agree with calling these clothing fanatics, ‘fashion otaku’? Could the fact that the Ura-Hara fashion world was founded in the back streets of Harajuku be a metaphor for the greater streetwear culture itself? Hello, my name is Andrew Shelton and I am a junior majoring in Economics. I founded and run a small clothing company, Enxstinct, and spend most of my free time working on new designs. I was first interested in studying Japanese Popular culture when I was exposed to the overwhelming number of talented Japanese artists and designers. Murakami Takashi, Kawakubo Rei, Tomoaki Nagao “Nigo”, Shimizu Yūko, and Yamamoto Yōji are just a few of my favorites. My interest in Japanese popular culture is centered around American obsessions with Japanese art and fashion.